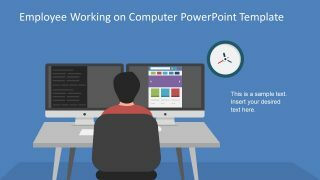 The Employee Working on Computer PowerPoint Template is a flat design template for modern information technology slides. It is a ready-made graphical design showing a man sitting in front of the desktop computer. The template portrays the working environment because it also displays the wall clock, on one side. This visual gives the idea of an employee working during office hours. This could represent an employee as the software/web developer, online support agent, or another IT-related job. 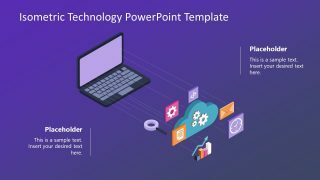 The computer PowerPoint template indicates the business dealing in an advanced technology project. Most of the IT companies use a blue color theme for their business presentations. 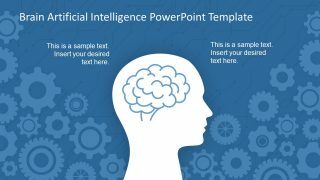 Therefore, the blue background as the color of the wall immediately portrays the PowerPoint for IT topics. 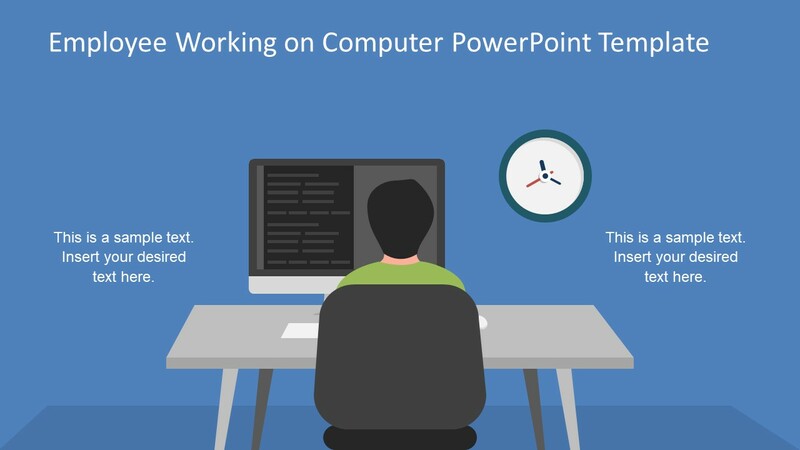 The Employee Working on Computer PowerPoint Template as the background of technology slides can influence the overall presentation. For example, if the presenter needs to explain the benefit of a company’s ERP system to the potential customer. They can use the visually compelling design in the background. Further, the employee working on computer can represent the users responsible for handling the ERP application software. PowerPoint template has two slides of similar design, but it shows the difference in users simply by changing the colors of their t-shirts. Further, the first design contains one screen displaying computer code only. While the second template shows two screens where one is for code and the other contains a graphic user interface. In this way, the presenter can explain the access control for each user level, i.e. admin, editor, employee etc. 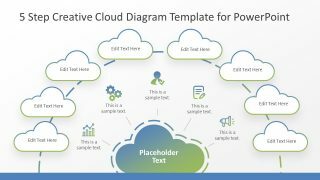 The PowerPoint template of flat vector shapes is suitable for both business and educational presentations. 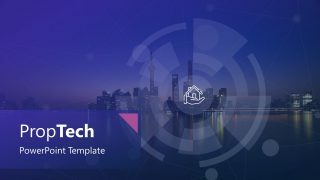 It is useful in conveying many IT concepts because it is a practical technology presentation template. It is an editable PowerPoint of vector graphics creating an appealing visual. The users can make changes in the individual shapes separately i.e. color shape fill. Or, resize the images as a whole. Furthermore, they can make more copies of the template to demonstrate different users and their access control.